Eugen Klein Dark Blue Sweater 8576, Was £115. 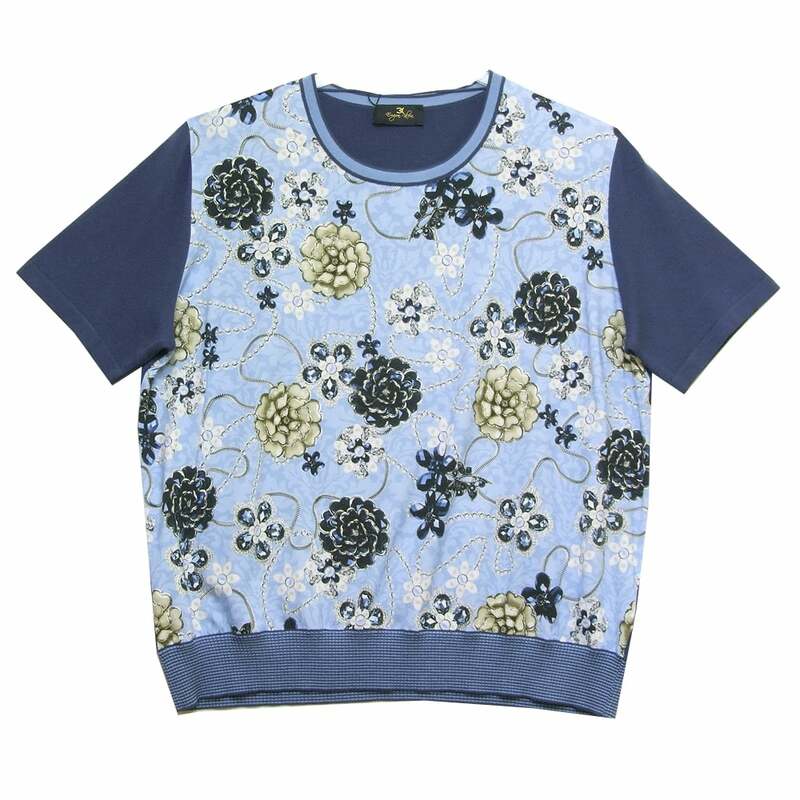 Top, short sleeves, scoop neck, in dark blue stretch jersey double knit, with jersey knit front printed with a floral design in blue and beige. 46 percent modal 40 percent polyacryl 14 percent elite.